America’s freight railroad industry is among the safest in the world, thanks to its holistic approach to rail safety. Safety statistics compiled by the Federal Railroad Administration (FRA) demonstrate why this approach matters. As the data highlight, recent years have been the safest in the history of the industry. 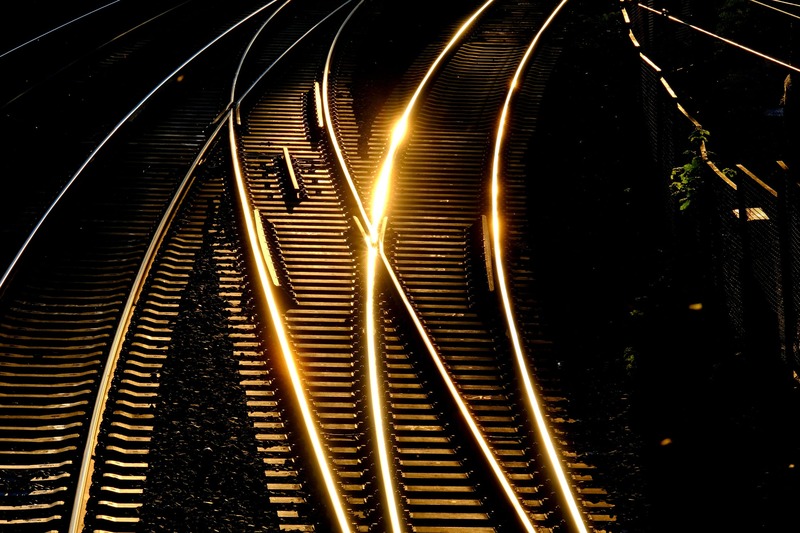 Freight railroads invest in four key areas of safety: infrastructure and equipment, operational improvement and training, technology, and community preparedness and response. Railroad investment correlates closely with rail safety improvement. In fact, a recent study done by the Mercatus Center at George Mason University concluded that record levels of rail investment enabled by railroad deregulation have been more effective at improving rail safety than safety regulation. Freight railroads have invested more than $685 billion in infrastructure and equipment since the industry was partially deregulated in 1980. Focusing investments on infrastructure and equipment, two of the leading causes of accidents, helped the industry achieve a string of record-setting years for safety. Since 2008 alone, the train accident rate is down 23% and the derailment rate is down 23%. The most important safety investment the industry makes is in its highly skilled workforce, which is responsible for the day-to-day operation of the trains and the upkeep of the network. The result? The strong culture of safety that defines the railroad industry. Daily safety briefings, peer-to-peer safety programs and training programs at state-of-the-art technical training centers, featuring simulators and virtual reality, are just some of the ways railroads empower their employees to put safety first. While federal regulations govern inspection of track and equipment, railroad inspectors often go above and beyond these requirements. In fact, many key routes are inspected four times a week, twice the frequency required by the FRA. Railroads and their partners also focus extensive resources on the safe transport of hazmat. This focus has resulted in a 41% decrease in the hazmat accident rate since 2008. The Rail Corridor Risk Management System, software designed by the industry to identify the safest and most secure routes for moving hazmat and crude oil, and enhanced safety features for hazmat rail cars are just a few examples of freight rail’s emphasis on operational safety. These efforts help make rail the safest way to ship hazmat. In 2017, more than 99.999% of rail hazardous material shipments reached their destination without a release caused by a train accident. Technology plays a crucial role in improving safety. Today’s advanced rail tech enables rail employees to inspect track and equipment with greater frequency, efficiency and reliability. These advanced tools also empower employees to make better decisions, arming them with data on the health of rail infrastructure and equipment that goes well beyond what the human eye can see. The technologies used by rail inspectors include drones to inspect inaccessible areas and bridges, ultrasound technology to identify flaws within track and specialized sensors mounted along track which identify faulty or worn rail car components as trains pass by. Because the nation’s rail network is highly integrated, with equipment often operating across the networks of multiple rail companies, today’s technology allows rail employees to gather and share data so potential problems with equipment can be identified and addressed quickly. Technology also has the potential to make meaningful progress toward the industry’s goal of eliminating highway-rail grade crossing accidents. As autonomous-vehicle technology continues to be developed, railroads have called on the U.S. Department of Transportation to ensure that these cars recognize and react properly to warning devices at grade crossings. This effort supplements the industry’s long-standing commitment to community education and highway-rail grade separation initiatives. As the old adage goes, preparedness provides the calm before, during and after the storm. As such, community preparedness is a central focus of railroad safety efforts. Each year, railroads train tens of thousands of emergency responders and collaborate with local officials on emergency response plans. Local emergency response agencies can also receive confidential information from railroads on the hazmat moving through their communities. In the rare event of an accident, railroads provide the resources needed to respond to and mitigate the impact of the incident, as well as safely remediate the affected areas in the aftermath. First responders use the industry’s AskRail mobile app to find detailed information about cargo on the train to ensure effective response. What’s more, all major railroads have teams devoted to emergency response that are on call 24/7 to provide local officials with access to information and other resources — from clothing for displaced families to environmental consultants. While efforts to date have produced impressive results, the rail safety challenge will never end until the industry reaches their goal of zero accidents. Until that time, railroads will continue to work with their employees, suppliers, customers and with officials at the FRA and across government, to assess and implement new approaches to improve rail safety.